How do you get a forestry job? There has always been an air of mystery around forestry and logging work. Over the history of logging in New Zealand, there has developed an aura around the men who work as bush men. The perception of many townies of who and what bushmen are: rough, tough, hard-drinking, hard-swearing men, seen in town occasionally in big steel-capped boots normally topped with a pair of oil stained jeans and one weather beaten Swandri. This was probably true through the ’60s, ’70s and ’80s, when you would enter a public bar and there they were. Cigarette in one hand, a pool cue in the other, and a jug of beer on the leaner in front of them, red faced from being in the cold winter air all day. They never took off their boots at the door, just wandered into the bar smelling of either pine trees or native timber. If you considered you might like to work in the bush, how did you go about finding a job? How did you break into this closed shop environment? Either you were born into it, or you knew someone who was a bushman who said he would talk to the boss about you and see what he could do. My own experience was fairly simple, I could drive trucks and got a job driving a log truck, I could also drive loaders and tractors. I got a job driving a converted David Brown tractor pulling Ponderosa pine. Finally, I was in the bush and once you’re in, the rest is easy. But that was then. Because the forest industry is forever changing, I have often asked the question, why do they change the training systems in forestry all the time? Over the years many of us have gained some form of qualification only to find that his has become outdated. It was a concern of mine the trainers and those responsible kept changing the goal posts, new names for recognition of qualification, new modules being introduced constantly seemed to make it harder for someone to get a start in the forest industry. 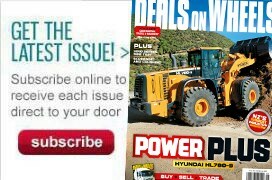 As the industry is ever evolving and the New Zealand logger is always looking for innovative ways to make his job safer and more efficient and as a consequence we add new modules, like, tethering for steep slope harvesting, computer-operated processing heads, cameras on grapples and I guess the list will just keep on growing. There are contractors out there who will take people on who have no logging experience at all, these contractors look for maturity and operating ability. Sometimes you can tell just by watching a new guy if he has that instinctive skill to drive machines, good coordination, aware of their surroundings, alert with a good attitude. People like this can be employed under documented training, until such time as they are competent to gain their module on the designated machine. 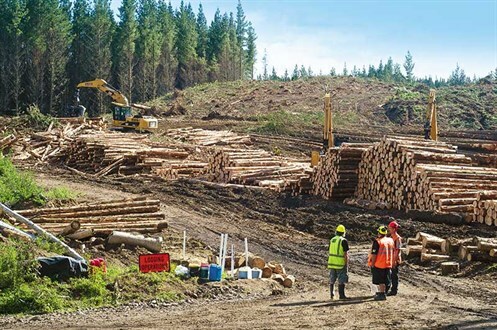 The contractor also needs to have new members of a logging operation fit in with the existing crew members, some like their staff to be of a similar age and to show good health and safety skills to ensure all your work mates go home every night. From my own experience, I liked to have a mix of age and experience, youth and enthusiasm and a balance of ethnicities. In today’s world there are not many industries where a young person can leave school and stay in that industry for life. 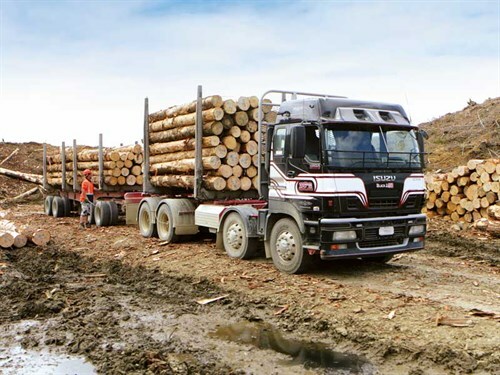 The logging business has evolved to one of those that you can, because of mechanisation and older logger can now finish his career behind the controls of a machine, before mechanisation the physical demands on a person’s body made this very difficult. There is always opportunity for advancement, the possibility to own your own logging operation, become a trainer, study health and safety in forestry. All the other associated industries that support or work in tandem with loggers offer room for advancement. I would like to leave you with this thought about health and safety. We are taking away from the young people the ability to develop common sense and instinctive behaviour and to be aware of their total surrounding. We put high-vis on everything, they do not have to look anymore, sooner or later this will implode on us. I liken this to the deerstalker, the game he hunts does not have high-vis, he has to develop skills of observation, be alert, conscious of where his hunting partner is, these are skill we could lose because you just do not have to look anymore, it is all just dumped in your face.